Our Tokyo campus is having its opening ceremony tomorrow. In Japan the academic year starts in May. 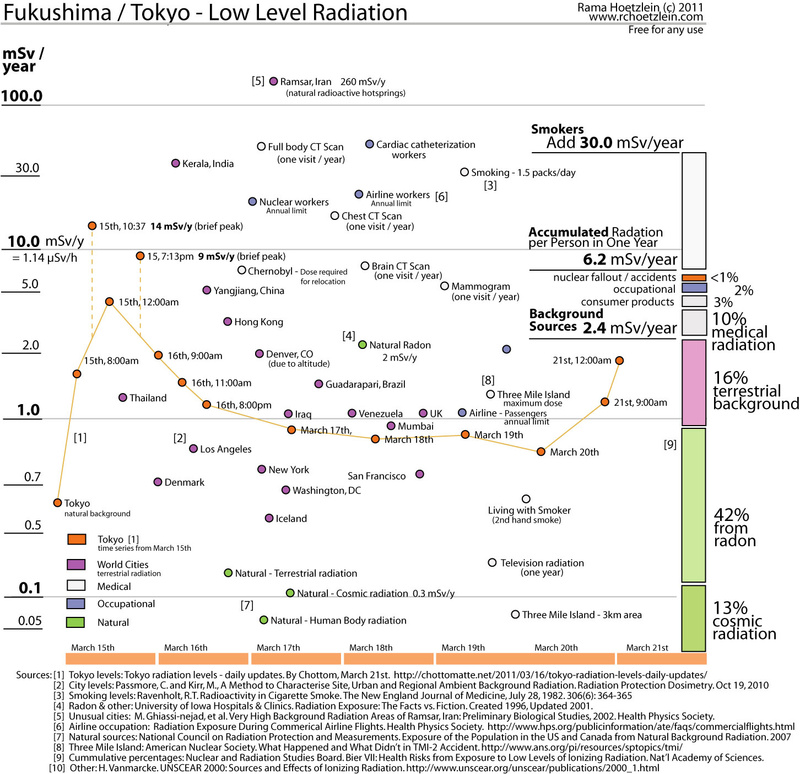 I've done some reading on the radiation threat in Tokyo, and here's what I've been able to figure out for sure: No one knows much about much. That's slightly sarcastic, but it is frustrating that there is such a wide range of allegations of facts about the situation and its impact. Most of the doomsday predictions are predicated upon either 1) the Japanese government hiding the true information about the amount of radiation released, or 2) a catastrophic explosion happening at the Fukishama plant reactors. Well, I've never thought governments were competent enough to manage large conspiracies. Except for the Roswell incident, as the U.S. gov't did a nice job covering that one up. (Okay, I'm just joking, no need to send the men in black out to visit me, I believe the cover story!!) 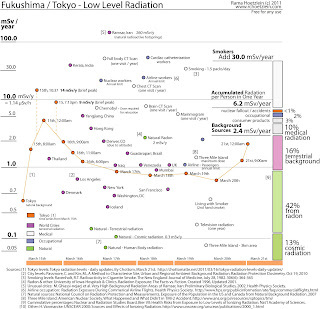 I don't think the Japanese government can prevent independent measuring of radiation. Speaking of that, what I am pretty sure of is that I should worry more about the CT scans I receive (I've had SIX in the past year and a half!!!) than the background radiation in Tokyo. Check out this graph, you can click on it to make it bigger. You can see the orange dots are measurements from Tokyo during this crisis. About the same or lower than Denver (Denver's altitude gives it a high natural exposure rate, here's the article that explains this chart--these folks are not nuclear physicists, I know, but they explain it well). Look at the white circles, those are the medical procedures. CT scans are pretty high up there. In the past year and a half, it's like I've been working in a nuke plant for 6 years, given my six CT scans. Or, if I had been a smoker for 6 years. Radiation is cumulative, so exposure builds up over time. Ugh. I had my miso soup for breakfast, by the way. With kelp. You can google all these subjects yourself. You'll find opinions all over the map. Internet is too full.